Discussion in 'General Chat' started by Blazingprincess, Apr 16, 2019 at 1:48 AM. It a conspiracy. Manufacturers are building cheaper products so that they break easily. Case in Point. Mom has a copy/fax/printer machine that's over 30 years old. Still works, problem is getting ink for it. About 10 years ago she gave up and bough a newer hp printer. It broke inside 2 years, as has every other machine she has purchased since. I had an old pair of hi fi headphones from the 60s I got from my grandfather. Big clunky and fugly as hell. I bet if i had kept them around instead of letting them be sold at a garage sale they would still be working. Sure it would take an adapter to make it fit modern devices, but the damn things would work. Next are cars. Take just about anything before the 80s and the damn things are solid steel, you get in a wreck take it to the shop and they pull the dent sn out and you drive away(this in only a slight exaggeration) any more you get I to a slight fender bender and it totals your vehicle(no joke or exaggeration). Yup, its cheaper, and might be more fuel efficient, but you're driving a vehicle that's more plastic then metal. Ai chan and Yul B Allwright like this. How do you accidentally destroy doors? I broke/lost my phone every year. This phone is more than 1 year but it's already cracked. I wanted to host a funeral, but my family told me to stop being ridiculous and said "that's #7 anyways." Because you've always been able to bought the replacement. You have to lose something that can never be replaced so your body will alert you the next time you're going to break/lose something. 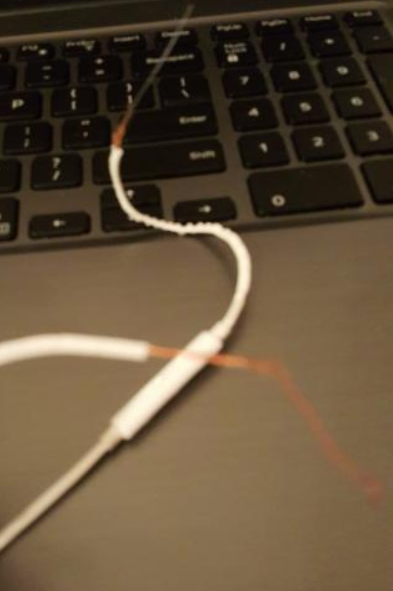 I just ripped off one of my earbuds when I was getting up to close the door, they aren't even bad quality ones... this is the 7th time I've broken earbuds/headphones over the past 2 years. Same thing with waterbottles I switch every few months cuz they keep breaking around me. I broke my closet and bedroom door as well. I pretty much end up breaking anything I get close to... wHY. it means you need to go into wrestling. Bet not even the guys with big muscles can keep up with you. Ripping off stuff in one go regularly is not normal. Watch out! The good thing is you're still survive by yourself. Maybe you need more exercise than you usually did. But how do you even break a closet?? I once broke all the shelves, boxes, and other items in my walk-in closet when I tried to remove a box from a high shelf. I also accidentally broke a chair and set another on fire. I put a hole in a wall when I tripped and fell. My phone is less than a month old, but it already has cracks despite having never dropped it. I've broken doorknobs, handles, faucets, and countless amounts of cups. idk if i open my closet to aggressively but the closet door broke off from where the hinge of the door was screwed into the wall, then it proceeded to fall on top of me ;-; my bedroom door has split down the side and sometimes it gets stuck after i close it and i have to kick the door to get out. Bluetooth is the answer! The only thing to be careful about is not stepping on them or losing them. This is why you get cheap headphones. My cheap Philips SHS390 that I bought in Taiwan has been working for 9 years now! Only 13 bucks or so. Cheers man, Philips made some quality audio products, I used some of it too. Currently I'm using Sennheiser, but I appreciate philips for giving me a taste of what high quality audio product is.